State titles matches don't happen very often. To get one you have to rise to the top of your weight class and show dominance over your peers. So it's rare that two Spire State Titles are being determined on the same night. Such is the case on Saturday at Cage Champs 37. We recently spoke with Jason Cooper of the Spire Sanctioning Alliance about the sanctioning body's big night. "To compete for a state title, you have to be ranked either first, second, or third," Cooper said. "Its not easy." 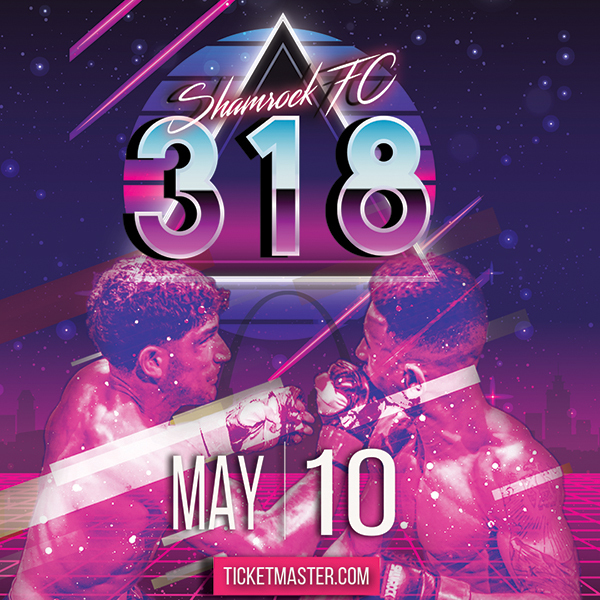 To the winners go the spoils, a beautifully designed belt, the title of "State Champion", and of course a guaranteed pro-contract with your choice of one of the three big promotions, Shamrock MMA, Sport Fighting League, or Fight Me MMA. Fighting for the light heavyweight state title is Tony Souders (7-0) from No Remorse MMA and St. Charles MMA's Brandon Cronin (12-2). "Tony has an iron chin, and that go-go, in your face style," Cooper said. Souders recently was awarded Spire's "Fight of the Year" for his duel with Tom Baker at GFL 7 in December. This recent phenom most notably took out amateur superstar Chris Heatherly (22-2) with a guillotine choke in a fight that nobody thought Souders could win. Cronin has taken some time off to heal up some injuries and focus on improving his striking by taking a few K-1 matches. "Brandon is very tough, doesn't have the hands of Souders, but his wrestling ability, ground control and jiu-jitsu are very solid," Cooper said. In a match between the top two 205-pounders in the region, its tough to pick a winner. "Depends on who can dictate where the fight takes place will determine who will win," Cooper said. "Classic grappler versus striker match-up, just depends." In the other state title match, featherweights Buddy McGinnis (20-2-2) will be taking on Danny Branson (7-2). McGinnis has fought mostly on the Illinois side, and trains under the watchful eye of his father Brad McGinnis. "Buddy is very young, scrappy kid, very exciting," Cooper said. McGinnis is currently considered the region's best featherweight and will be a touch match-up for Danny Branson. "Branson, is more of your wrestler, constantly looks for better positions, and can throw hard while on the ground" Cooper said. Branson trains at the Smith Pit, and has had to overcome problems with asthma for most of his career. This has hindered his cardio, but has never prevented the young fighter from outlasting his opponents. "I've never, ever seen a fighter with a bigger heart than Danny Branson," Cooper said. Currently there is only one active Spire State Champion, Javon Wright, but he will be forfeiting that status when he turns pro on Saturday night. 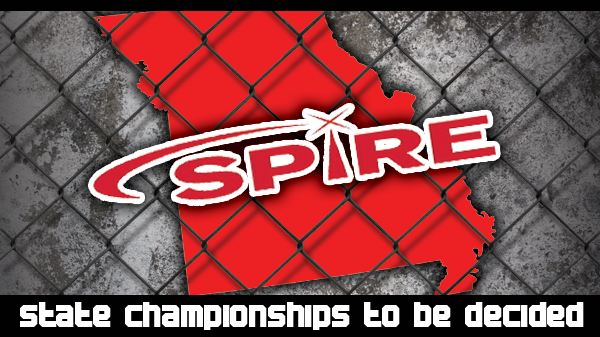 For more information on Spire or rankings on their fighters check out the Official Spire website.